SALUNGA, Pa. — Eastern Mennonite Missions’ new Christian/Muslim Relations Team wants to equip Christians around the world for life-giving interaction with Muslims. Other team members are David W. Shenk, EMM global consultant known worldwide for encouraging Muslim-Christian dialogue; and Andres Prins, who has 30 years of experience in North Africa and the Middle East. 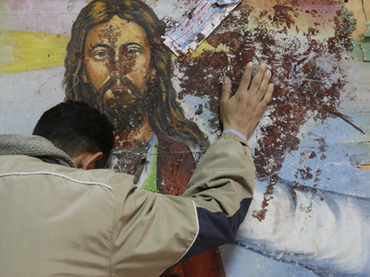 Shenk notes that many Christians in North America worry about having Muslim neighbors. Recently he discovered similar concerns in Neuwied, Germany, where he led a seminar on being good neighbors to Muslims and sharing the good news of Jesus with them. The Christian sponsors of the seminar went to every mosque in the community with an invitation to the final evening session on the peace of Christ. A number of Muslims came and then lingered after the session for conversation. 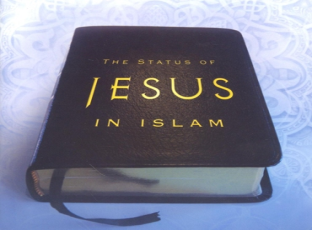 HUNTSVILLE, Alabama – Many Christians and other non-Muslims are surprised to learn that the teachings of Islam include information about Jesus. Zakiyyah Shakoor, a former teacher and an active member of the Huntsville Islamic Center, 1645 Sparkman Drive in Huntsville, explains where these teachings come from. While Christians, by definition, also attribute to Jesus co-divinity with God as part of the Trinity, Zakiyyah’s simple explanation helps show that both Christians and Muslims can celebrate together the message about God that Jesus was sent to bear. ur thanks to Zakiyyah and other religious leaders in Huntsville for contributing these LifePoints essays from time to time to The Huntsville Times. Note: In the passage of the Quran, below, there are words in parentheses. Those kinds of designations are to be found in any translation of the Quran from the Arabic believed by Muslims to have been given by the angel Gabriel directly to the Prophet Muhammad. Those phrases clearly mark the translator’s additional words for clarification from the literal Arabic and remind those reading in translation of how carefully Quranic translators aim for precision. In her essay, Zakiyyah also uses the traditional Muslim blessings added after using the name of any of the Muslim prophets, “peace be upon him,” as a sign of reverence and thanksgiving for their witness. Does Islam Need Good PR? 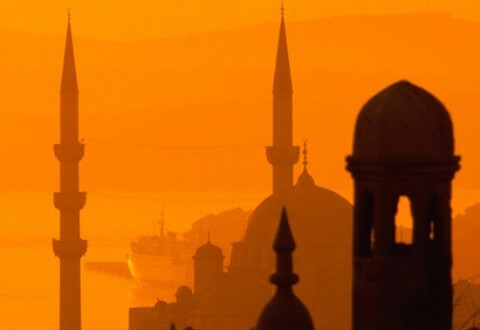 What should Christians be saying about Islam? How can we generate the right kind of PR? 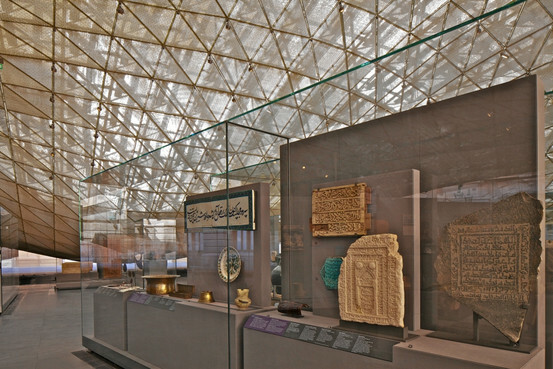 The roof of the Louvre’s new Islamic art department undulates like golden fabric gently lifted by the wind—a feat, considering it is made of steel and glass and weighs almost 150 tons. Filling a neoclassical courtyard, the addition that opened last fall tripled the space devoted to Islamic art and more than doubled the number of objects on view to almost 3,000, or about a sixth of the museum’s works from the Islamic world. In contrast to the spectacular architecture by Mario Bellini and Rudy Ricciotti, the installation is understated, an elegant version of open-storage: objects grouped in long glass cases; larger pieces—carved steles, inlaid doors, stone latticed windows—clustered on low pedestals; and architectural fragments affixed to partitions. The flooring is dark, the passageways plain and the lighting democratic, giving shards of earthenware as much attention as finely woven rugs from Iran, a jewel-encrusted dagger from Mughal India or 14th-century enameled blown-glass lamps from Egypt and Syria that are about as close to numinous as objects can get. Hence the importance of Muslim voices owning their faith. These voices define Islam; they represent the truth. This is why the “I Speak For Myself” series is so important. Starting with the first book, I Speak for Myself: American Women on Being Muslim (White Cloud Press, 2011), American Muslim women got the chance to tell the world their story, in their own words. Now, it is the brothers’ turn with All American: 45 American Men on Being Muslim, edited by Wajahat Ali (a Patheos contributor and former blogger) and Zahra T. Suratwala. KELLER — Hoping to nurture good will between two major faiths, Christians and Muslims will mingle Sunday at a Texas barbecue at a Keller church. The Rev. Bob Roberts, pastor of the 3,000-member NorthWood Church, said the gathering is intended to create friendships and recruit Muslims and Christians who will work together on a series of community projects. Those attending will be served beef slaughtered according to Islamic rules. 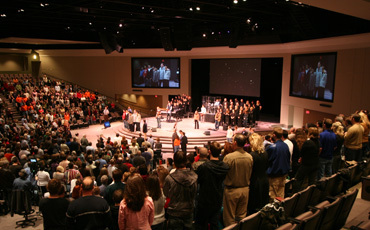 It’s a follow-up to a similar service at NorthWood — attended by 1,500 Muslims and 1,000 Christians — shortly after the 10th anniversary of 9-11. That service, labeled “repulsive” by a political activist, was highly emotional. At Sunday’s event, Muslims and Christians will sign up to work together on several volunteer projects, including painting and remodeling homes and renovating a Haltom City baseball field. Also, women will take part in cooking clubs, sharing recipes from their different cultures. Among the speakers will be U.S. Rep. Kay Granger; former South Carolina Gov. David Beasley, director of the Center for Global Strategies in Colorado Springs, Colo.; and Azhar Azeez, vice president of the Islamic Society of North America in Plainfield, Ind. An Egyptian mother and her seven children have been given lengthy jail sentences for illegally changing their names on official documents. The family wanted to use their Christian names again after a conversion following their Muslim father’s death. Nadia Ali Mohamed was born Christian but converted to Islam when she married her husband Mustafa Mohamed Abdel-Wahab. When he died in 1991, she wanted to go back to being a Christian, and pushed her seven children to convert. In 2004, after the family had converted back to Christianity, they replaced their Muslim names on their identity cards with their Christian names. They had also moved to a different city of residence, which was changed on the documents as well. Two years later, one of Mohamed’s sons was arrested by police at the information Center of Beni Suef, a town about 115 kilometers south of Cairo, where they were living at that time. Officials suspected that the boy’s documents had been forged.